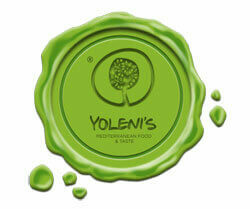 The vision of the Yoleni's family is to make the high quality products that our country generously offers, and of course their remarkable producers, known all around the world! The company’s philosophy is that, in order to achieve this, an absolute priority must be given to the visitor-consumer, offering him the most representative experience of Greek Gastronomy through 2 channels: Yoleni's online store and its physical stores around the world. Let the Exploration of Greek Flavors begin!